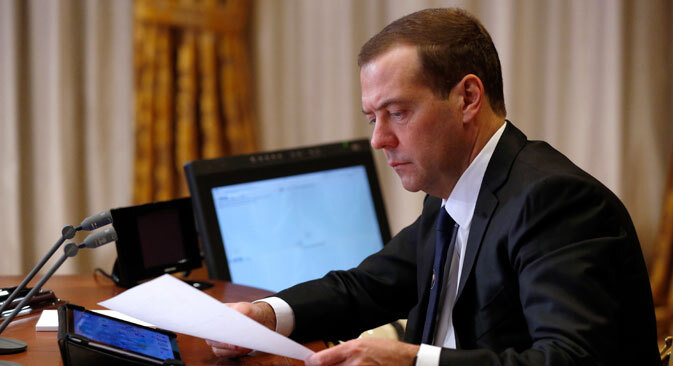 Russian Prime Minister Dmitry Medvedev has for the first time definitively supported the future raising of the retirement age without saying when this decision may be made. At present, the retirement age in Russia is 60 years for men and 55 years for women. The Finance Ministry insists there is no other way to resolve the problem of chronic budget deficit in the Pension Fund amid negative demographic trends. The Finance Ministry proposes that the retirement age be raised under the 'year on year' formula starting in 2018-2019 and that the pension age be gradually increased to 65 years for men and women. The prime minister said during the discussion of the 2016 budget in early October that the government "would have to address the retirement age issue sooner or later." A month later the formula transformed and became more definite. "Understandably, sooner or later, we will have to make the decision to raise the retirement age. Life expectancy increases throughout the world and so does the retirement age. This is an objective process," Medvedev said in an interview published by the newspaper Rossiyskaya Gazeta on Nov. 11. Yet the premier said the time to raise the retirement age had not come. "However, we should not jump the gun. This is why we have not taken decisions yet," he said.